The popular messaging app Snapchat just disclosed how popular it really is, and the news has big implications for the Snapchat IPO. According to a report from Bloomberg today (Thursday, June 2), Snapchat's daily active user count is currently at 150 million. That's up from 110 million in December. In just four years, Snapchat's number of daily active users (DAUs) has sped past many older social media titans. The young mobile messaging app's DAUs have surpassed that of the decade-old social media platform Twitter Inc. (NYSE: TWTR). According to analysts, Twitter has fewer than 140 million active daily users. Once the second-largest social network behind Facebook Inc. (Nasdaq: FB), Twitter continues to fade among other short-messaging services. It currently lags behind Instagram, Messenger, WhatsApp – and now Snapchat. Although Twitter doesn't disclose daily user count, its latest earnings report shows it had 310 million monthly active users (MAUs) in Q1. It also noted that roughly 44% of MAUs are active daily in the service's leading 20 markets. That suggests a daily active user tally of 136 million. Twitter and other platforms are losing users to Snapchat thanks to the entertaining way Snapchat lets people communicate. You see, Snapchat's free mobile app allows users to send videos, photos, and messages that disappear after a few seconds. It also allows users to access its imaging software and do things like swap faces with someone else, morph into cute puppies, and wear other filters. Snapchat also lures users to return to the app often with features such as "Snapstreak." Snapstreak tallies the number of successive days users have been interacting with their closest friends. The company's innovation has been praised by tech entrepreneurs. Twitter CEO Jack Dorsey said at the Re/code technology conference this week that messaging on Snapchat is "very modern," while also admitting Twitter can be confusing at times. 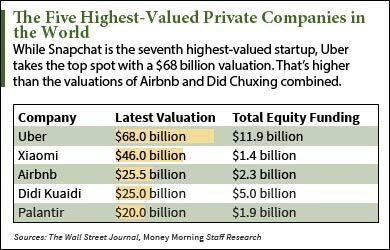 Snapchat's milestone of surpassing Twitter's number of DAUs has stoked more excitement about the upcoming Snapchat IPO. Will the Snapchat IPO Happen in 2016? Evan Spiegel, Snapchat's 25-year-old co-founder and CEO, said back in May 2015 that the company is already making plans to go public. "We need to IPO," Spiegel said on May 24, 2015. "We have a plan to do that." Despite not giving a time frame for the initial public offering, Spiegel made clear he's in no hurry to take his company public. He's worried about a bursting tech bubble and getting caught up in the rout. After all, the massive valuations of tech startups have been a major concern and account for an absence of tech IPOs in 2016. The Snapchat IPO's recent funding round is also fueling speculation – and doubts about whether the firm is worth the funding. The company just completed a $1.8 billion funding round on May 26. It's currently valued at $16 billion, making it the seventh highest-valued startup in the world. On May 23, Snapchat's regulatory filing revealed the company added IPO specialist Stan Meresman to its board. Meresman is a financial expert who works with tech CEOs on the IPO process. He advises them on what they need to do to scale for growth and operate as a publicly traded company. According to his personal website, Meresman has steered four companies through successful IPOs. They include LinkedIn Corp. (NYSE: LNKD), Zynga Inc. (Nasdaq: ZNGA), Riverbed Technology Inc. (Nasdaq: RVBD), and Polycom Inc. (Nasdaq: PLCM). He was also the CFO at chipmaker Cypress Semiconductor Corp. (Nasdaq: CY) during its IPO. The Bottom Line: Snapchat is experiencing incredible growth right now. The new report today shows Snapchat's daily active user count has surpassed that of 10-year-old Twitter. 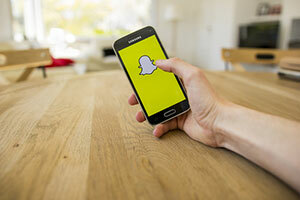 This update has caused more investors to ask when the Snapchat IPO date will roll around. After the company released a filing showing an IPO specialist on the payroll, it's clear Spiegel is ramping up plans to launch the Snapchat IPO. Continue following Money Morning for more updates on the Snapchat IPO date and price throughout 2016.